This is Part 2 of a three-part interview with Eric Tischer about his AC-motored VW Passat conversion. You can read Part 1 of my interview with Eric Tischer here. Lynne: I noticed that you chose an electric car motor that, you know, came out of an electric car - an old Ford Ranger EV, actually - rather than some other 3-phase AC motor, like say for an industrial application. Was there a reason for this? Eric: The motor I chose was used in an electric vehicle and it is much lighter and smaller than an equivalent industrial AC motor. 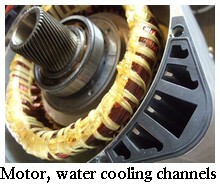 The electric car motor is water cooled, which makes it much smaller than air cooled motors which require heat fins. Industrial motors are also rated for continuous power, which causes it to be much larger than an electric car motor rated for intermittent duty which is better suited for an EV. The electric car motor is also sealed liquid tight, and somewhat stubby, a 90hp industrial motor would probably stick out beyond the front bumper, and weigh 400 lbs. Why do you run your system at 300v? The 312VDC is required to generate a 220VAC (312V peak) sine wave. This is a common voltage for a 3 phase AC motor. Most motor controllers are powered by 312VDC internally, so this is why I am using such a high voltage. It sounds like there's a "right voltage" for an AC electric car motor, which is such a different orientation than the SWDC "how many batteries can you afford?" approach. Is this correct? More batteries will help get more torque from an AC electric car motor. Most AC motors run 1750 RPM at 60hz 230v, so at 875 rpm, they are at 30hz 115V. You can spin beyond 1750rpm by running "field weakening", so at 3500 (rpm) 60hz 230v it will be spinning twice base speed, but half the torque. If you can supply 460v then you will have full torque at 3500rpm. Watching the video, I see your car keeps on accelerating, that's what looks so different about it. The DC electric cars I've seen will take off like a rabbit, but when they get to their cruising speed, there isn't any more. Like a golf cart. Your car seemed to drive a lot like a regular car. 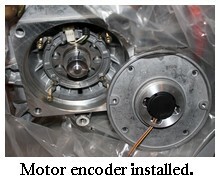 Motor torque is related to "slip". 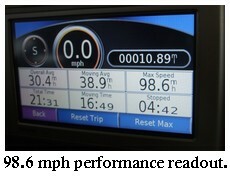 Slip is the difference between actual electric car motor speed and commanded motor speed. For example a DC car at a stop can generate lots of torque because 100 volts will produce 2000 rpm of slip. Once you achieve 1900rpm, the torque is limited because now you can only produce 100rpm of slip. With an AC electric car motor, the slip is not limited by voltage, it is limited by frequency, which is basically unlimited. So the motor can produce torque even at high rpms. 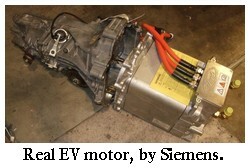 The constant power nature of the AC electric car motor makes it feasible to drive 0-75mph in only one gear. Slip. If the motor speed varies directly with wheel speed, this sort of translates to "the ability of the car to accelerate", then? So with the SWDC, once you achieve 1900rpm or whatever is your "approaching maximum rpm" at a given voltage, there's not much acceleration left. This explains the golf cart observation above, I guess. Thanks, I never got this before, but I can see it's a big drawback for a DC conversion if you want it to act like a regular car - like, for instance, accelerating to get around something on the freeway. With a DC conversion, there's nothing left to give as it approaches the top of its rpm range. If you want fast acceleration, you need to command the motor to spin faster than it currently is spinning. The greater "slip" means more torque the motor is producing. Picture a car with a big coil spring on the rear bumper. If you want to accelerate the car slowly, you would push on the spring with slight force, and this would compress the spring slightly "small amount of slip". If you want to accelerate quickly, you would command a large "slip", basically compressing the spring a lot. DC Motors spin a certain rpm per volt. If 1 volt = 20 rpm, 2 volts will =40 rpm, and 200v will = 8000rpm. AC motors will spin a certain rpm per cycle. If 1 cycle/second = 20rpm, 60 cycles/second will = 1200rpm. The motor controller can command any frequency it wants to the motor, and of course you need enough voltage and current to produce torque. ...for a DC motor, voltage will limit the max speed of the motor. Unless the motor has a separately wired field, this is true. So the DC converters don't throw 300v to the motor because there's no control on the low-end torque - it's sort of all or nothing. Your AC motor, on the other hand, has rpm control related to frequency; control the frequency, and you control the rpm. Correct. A DC controller will vary the voltage to the motor. 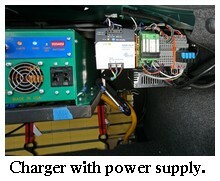 An AC controller will vary the voltage and frequency to the motor. So what's torque got to do with it? Is that a constant, related to the type/size of motor, and moved to the right or left on the graph by the number of poles? I've never understood the poles bit very well. More poles means more low-end torque, less high-end torque? Is there a limit to the number of poles a motor can have? 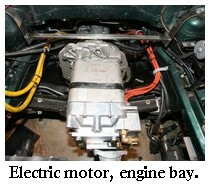 Most AC electric car motors are 4 or 6 pole. The more poles, the slower the motor will turn. If both motors have the same horsepower, the 6 pole motor will have more torque and less speed. HP = speed * torque. Are you a little more careful with 300v than folks are with 120v or 144v (read: they get bitten sometimes. A lot. ), or were there specific precautions that you took with that much voltage? On the same note, I've always wondered why there wasn't some sort of GFI device that folks could put between their battery packs and themselves so that if they - heaven forbid - somehow became the shortest path to ground, electrons would stop flowing. I have not tried this, but I don't think DC voltage will flow to ground, only AC voltage will. I suspect folks are getting "tickled" with 120vac because their chargers are not isolated from ground, I know mine is not. I split my battery pack into four groups so the voltage within arms reach is somewhat limited. The groups (under the hood, where the gas tank was, spare tire well, and trunk area) make it a far reach to touch both ends of the battery pack. There is 312v inside the motor controller, and I tried to make that as finger safe as possible. So AC voltage is potentially more dangerous, then? You split your batteries up, which I've heard is good for safety. It sounds like the controller is the more risky part of the equation. How did you make that finger safe, and what precautions did you take while building it? I just enclosed everything in a plastic box, and used finger safe devices such as the fuse holder. It basically means you can't touch any high voltage with your fingers. I also retained the hacked VFD housing. 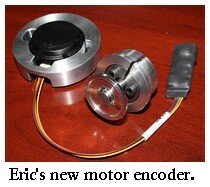 Go on to Part 3 of this interview with Eric Tischer, called AC Motor Controller. Do you think wheel hub motors will be available for the DIY market and if so, how soon? Hi, Scott - It looks like in-wheel motors might be coming! Does Under-Voltage Matter to a Golf Cart? I promise to use it only to send you Charge On!. Back to Build Your Own Electric Car. Copyright 2006-2019 Electric-Cars-Are-For-Girls.com. All Rights Reserved.